You’re mid-sentence when your favourite fountain pen runs out of ink. What do you do next? If you think pen replacement is the only option, then think again! You can easily get your fountain pen back in operation yourself by following only three steps. 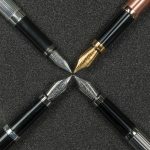 A fountain pen is comprised of four different parts: a cap, a nib, a barrel and an ink reservoir. 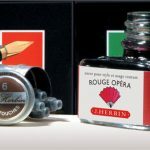 Depending on the type of ink reservoir your fountain pen has, you’ll require either bottled ink or a cartridge to get your pen back in working order. After taking off your pen’s cap, remove your fountain pen’s barrel by turning it counter-clockwise. Pens that are older or rarer may not require barrel removal since they will have self-filling mechanisms. 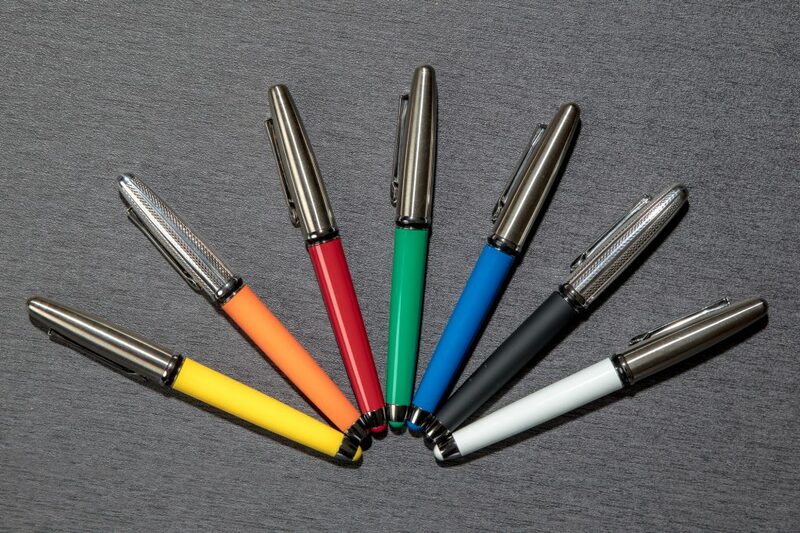 If you aren’t sure what type of filling method your pen requires, take a look inside your pen. After clasping the grip section of your pen, simply pull your cartridge out to remove it from the pen. Next, find the right cartridge replacement. Although many pens use standard sized cartridges, some do use exclusive replacements. If a converter is present, use the same technique as above to remove it from the pen. Take your new cartridge and insert it stopper end first into the pen’s grip section. Keep pushing it into place until you hear a click. At this point, the stopper should be punctured and ink should begin to flow. Keep the pen vertical for a couple hours to allow time for the nib to become saturated. 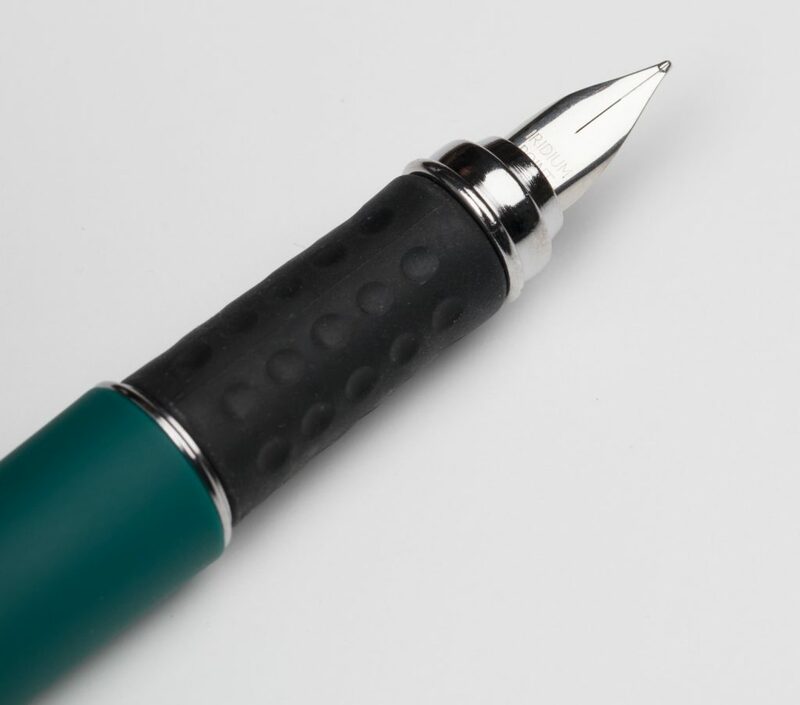 After clasping the grip section of your pen, simply pull your cartridge out (if present) to remove it from the pen. The converter will replace the cartridge. To insert the new converter into the pen, slide it towards the grip section. If small “lugs” are present, take care to line them up properly. Ensure the nib is fully submerged up to the nib section and that the vent hole is lower than the ink. If using a squeeze converter, squeeze the pen’s sides until ink bubbles. 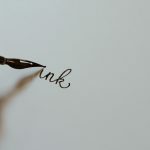 Take your time to slowly release the converter so that suction draws ink into the pen. Continue squeezing and releasing the converter until there are no bubbles present and your pen is full again. If using a piston converter, twist the pen’s end counter-clockwise so that the internal plunger moves. Twist it in the other direction to draw ink into the tube via the plunger. Continue until the pen is refilled. Clean any excess ink from the nib. Screw the barrel back on over the pen’s body. 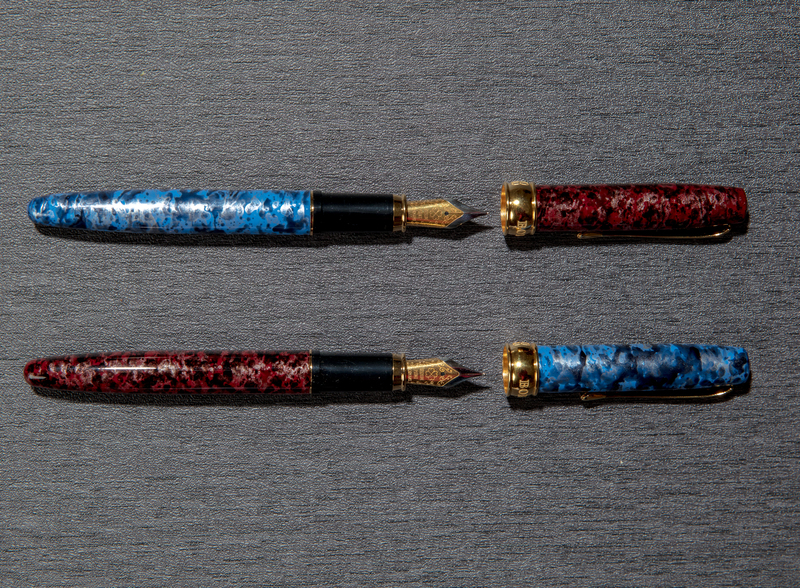 Your fountain pen should now be ready to go again! To avoid any panic of running out of ink in the future, consider purchasing a back-up of your favourite fountain pen. Check out our best sellers here!